New FC Barcelona manager Ernesto Valverde is no stranger to the club. 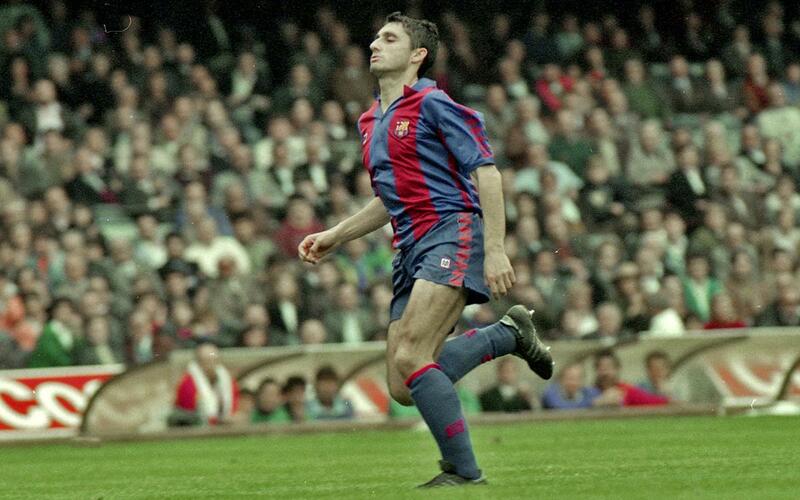 He was here as a player for two years from 1988 to 1990, playing 29 games under Johan Cruyff and scoring ten goals. And one of those ten was against Cartagena, in the round of 32 of the Copa del Rey in January 1989, precisely the same club that Barça B are playing this Sunday 4 June at 7.00pm CET in the playoffs for promotion to Division 2B. After failing to win direct promotion in a two-legged playoff against Cultural Leonesa, the reserves now have a second chance to rise to the second tier of Spanish football by winning two home-and-away series, the first of which is against the side from Murcia. Back in 1989, the first team managed to negotiate their cup tie against Cartagena with relative ease, with Valverde playing a central role. Not only did he provide the assists for Julio Salinas and Guillermo Amor to score, but he also claimed the third himself by heading home a cross from the left – one of the finest nights Valverde ever had wearing the shirt of the team that he is now managing.